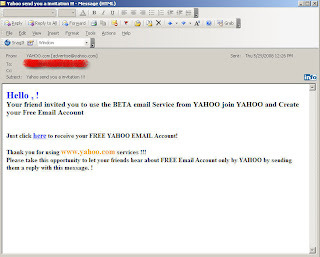 More phishing now aimed at Yahoo? Subject: Yahoo send you a invitation !! !